Unity, peace and tolerance. The new Montegrappa Fortuna Rainbow collection. Stripes of bright, pearlized resin cover these fountain pens, rollerballs and ballpoints. It's no accident Montegrappa returns to the award-winning Fortuna design when introducing new finishes. Its balance and shape are second to none. 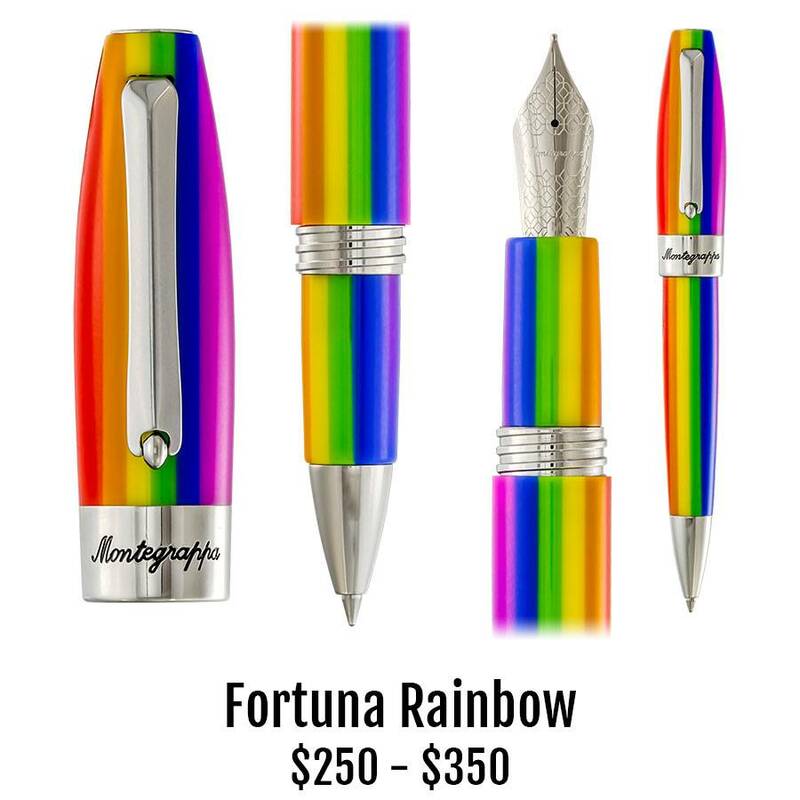 This jewelry quality new Montegrappa Fortuna Rainbow pen will only be available for a limited time. Every pen will be accompanied by a rainbow-colored, tie-dye scarf, of which no two will be alike. Just like all of us.